Only 71 householders have availed of a Government grant to replace lead piping. This is despite a publicity campaign by Irish Water who estimates that there are 180,000 homes in the country that were plumbed with lead pipes. And Irish Water had written to 38,000 customers advising them that there was lead contamination in their water supply. The Government introduced a scheme to offset the cost of replacing lead piping which is estimated at around €5,000 for an average house. The Domesit Lead Remediation Scheme offers up to 80% of the cost and a maximum of €4,000 for those earning up to €50,000 a year and 50% of cost and up to €2,500 for those earning a maximum of €75,000. However, since the scheme was introduced in 2016 only 71 households have availed of the grant involving a total of €186,444 or just over €2,600 per property. A spokesperson for the Department of Housing stated that Irish Water is engaging with the ESRI on a Behaviour Change Study to identify ways to encourage more take up. 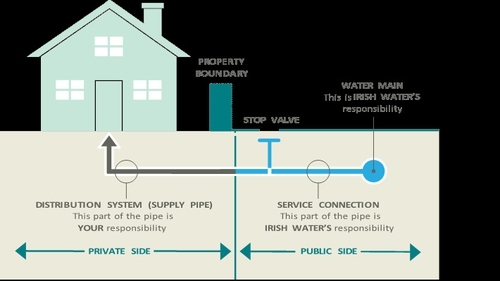 Meanwhile, only 800 householders have taken up Irish Water's 'opt in' scheme under which the company will replace public side lead piping connection for any householder that replaces lead piping inside their property and notifies the water company. In a statement, Irish Water said that it has replaced 22,000 lead service connections from its own inspections, adding that this means "many more home owners could potentially benefit from safer pipes if they replaced their internal lead plumbing". This follows news that high lead contamination levels have been found in more than 30 locations around the country including one reading in Sutton, Dublin that was 15 times above the legal limit. Irish Water says there is no lead in the mains supply but owners of homes or business premises built before 1980 are being asked to check their plumbing and tester kits can also be purchased. Irish Water's website will give the latest testing results for anyone who types in their address. Lead can affect the development of a child's brain leading to problems with learning, behaviour and attention. It can also harm, and may contribute to, high blood pressure as well as being linked to cancer. No level is now considered safe and the legal limit has been reduced from 50µg/l (parts per billion) to 10µg/l.